Her workout secret? Carrying a 32-pound toddler! Toni Gonzaga and her husband Paul Soriano recently soaked up the sun at an undisclosed beach. The couple also traveled with son, Seve. 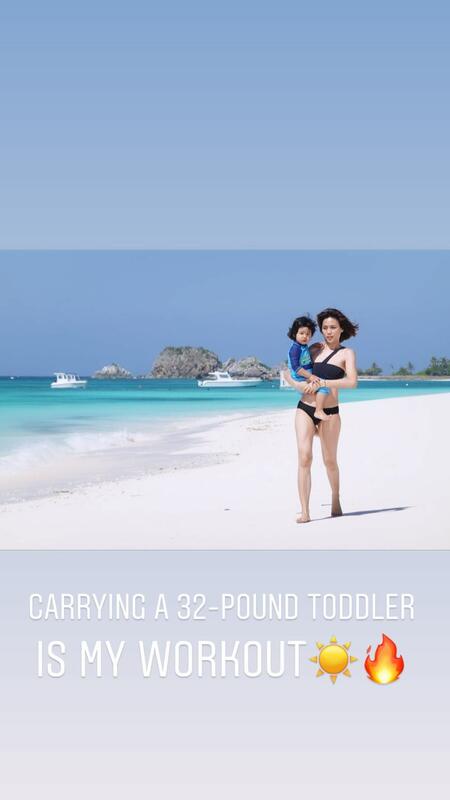 On an Instagram stories post, Toni shared her workout secret: carrying her 32-pound toddler! Last week, the 35-year-old actress launched her YouTube channel where she aims to inspire others while living her best life with her family.